Midnapore: A portion of a tent collapsed today during Prime Minister Narendra Modi’s rally in West Bengal’s Midnapore. The canopy collapsed while the Prime Minister was addressing the gathering. At least, 20 people were injured in the collapse and were rushed to hospital on motorcycles and even by the ambulance that follows the Prime Minister’s convoy. Officials said the tent was erected next to the main entrance of Prime Minister Narendra Modi’s rally venue to shelter people from the rain. Many enthusiastic BJP supporters were seen crowding inside the tent during PM Modi’s rally. The Prime Minister could be heard asking the crowd to be careful, officials said. According to officials, the Prime Minister saw the tent collapsing while he was in the middle of his speech. Midnapore has been receiving heavy rain since morning and it was drizzling at the time the canopy collapsed. The structure weakened further when people tried to climb the supporting poles for a glimpse of Prime Minister Narendra Modi. 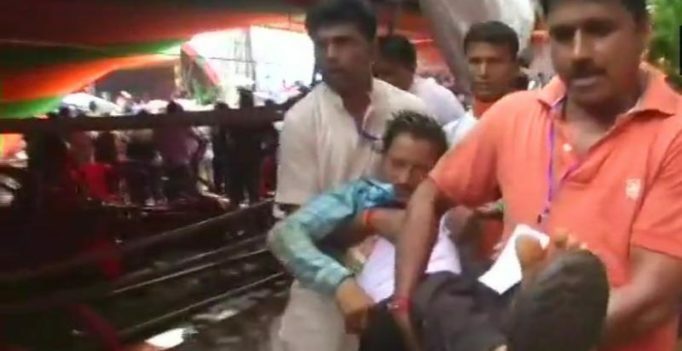 The local BJP unit as well as PM Modi’s personal staff, including his doctor and Special Protection Group (SPG) personnel, swung into action to help the injured, officials said. PM Modi instructed the SPG personnel to look after the people and attend the injured. The Prime Minister also visited the hospital and met those injured during the canopy collapse. 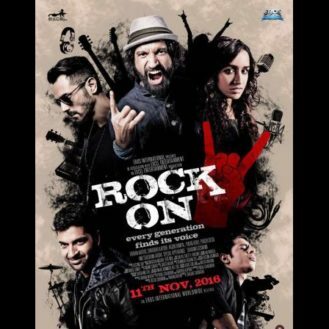 Get ready to ‘Relive the Magik’ in Rock On 2 with Farhan, Shraddha, Arjun and Purab!